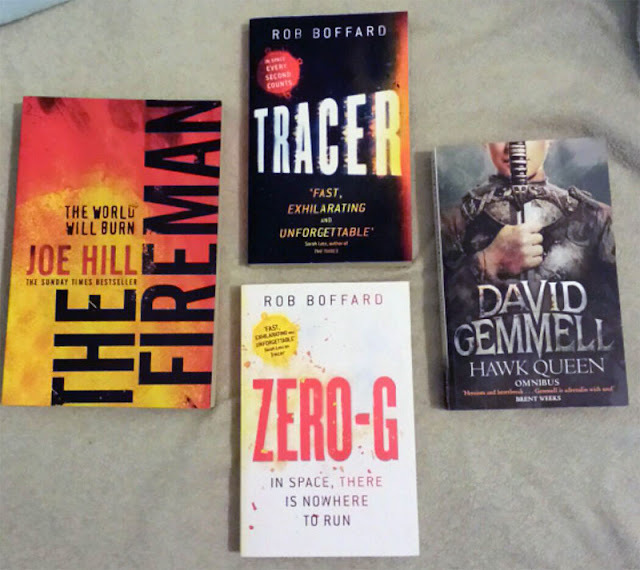 While I haven't been reading all that much the last couple of weeks that hasn't stopped me from buying more books. You can never have too many books right? 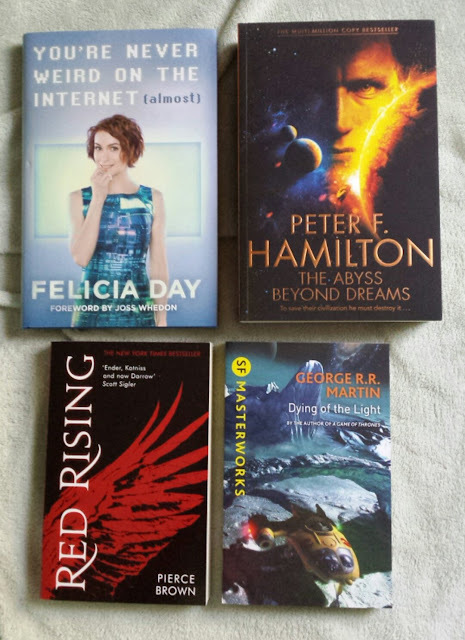 I'm not sure when I'll read these, but I WILL read them! 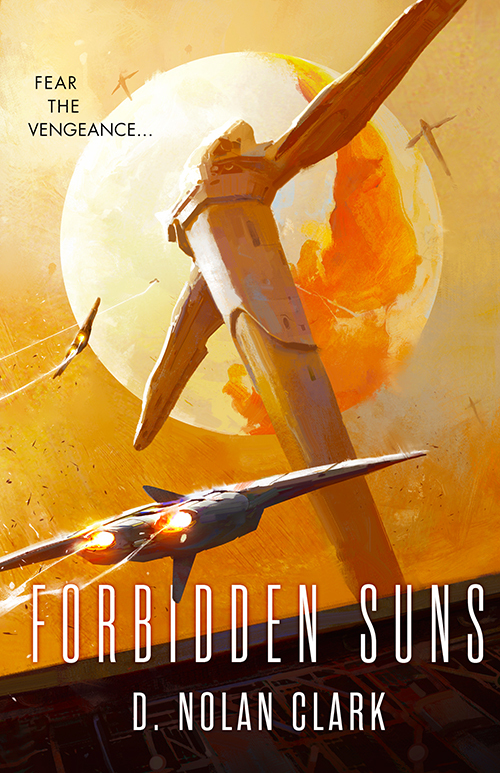 Orbit has just unveiled the cover for Forbidden Suns, the third and final book in D. Nolan Clark's Silence trilogy. 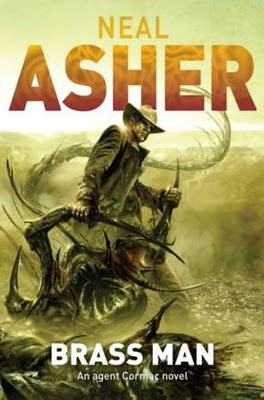 I loved Forsaken Skies and will definitely try to get my hands on the rest of the series as soon as the final book is released in October. In all his years at war, the stakes have never been higher. 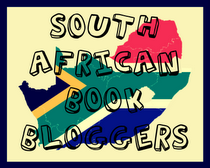 They say you should never judge a book by its cover, but we all know that the first thing that draws you to a book is the cover. Striking cover art can often sway my book buying decisions. 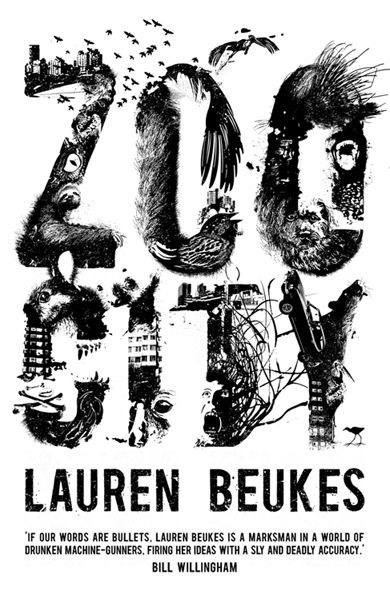 If a book has a beautiful cover I'm far more likely to grab a physical copy (even if I already own the ebook copy). I'm a sucker for beautiful cover art. 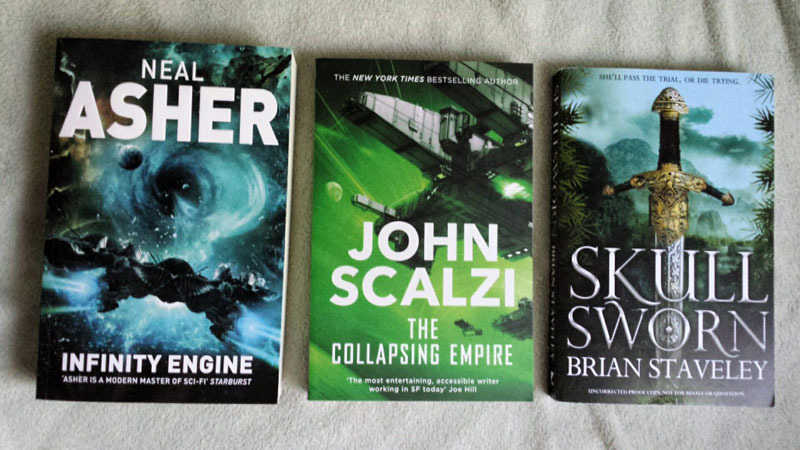 So here, in no particular order, is a tiny sample of covers I love. When Jon Sullivan stopped doing the artwork for Neal Asher's books I thought all was lost, but the cover Adam Burns did for the US edition of Infinity Engine restored my hope. Stunning and dynamic in equal measure. 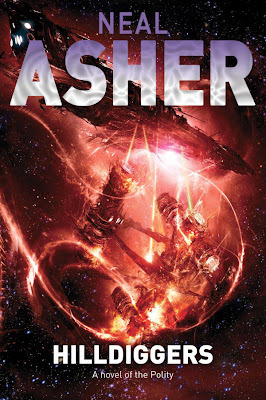 I hope he gets to do more covers for Asher's work. 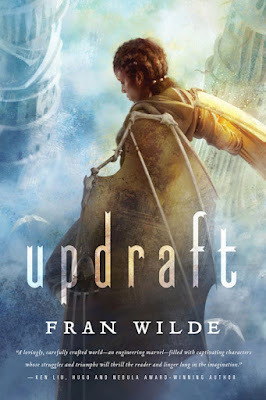 On the fantasy front I really enjoy the covers for Fran Wilde's Bone Universe series by Tommy Arnold. 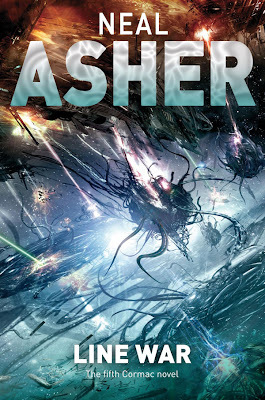 This is how I imagined the look and feel of the world when I read the book and his covers manages to capture it perfectly. 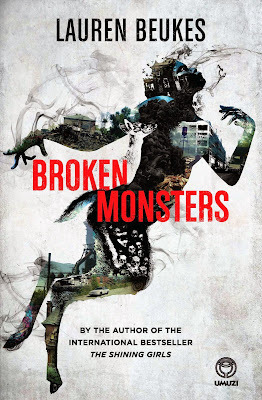 I have to give huge kudos to South African cover artist Joey Hi-fi. His work is simply incredible (especially coming from a country where Acacia trees on covers are viewed as the height of cover art). His cover for Broken Monsters is superb. 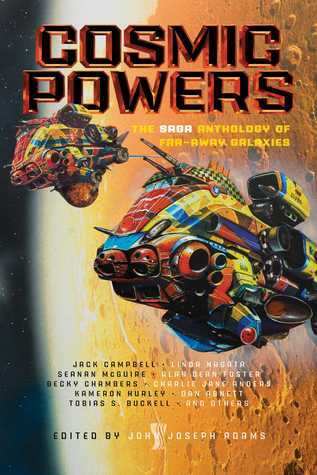 And lastly a very honourable mention must go to the absolutely distinctive artwork of Chris Foss. His art adorns many classic science fiction novels and for some reason I really enjoy his style. I could go on and on, but to prevent this post from morphing into an infinite gallery of awesome covers I love I'd better stop here. 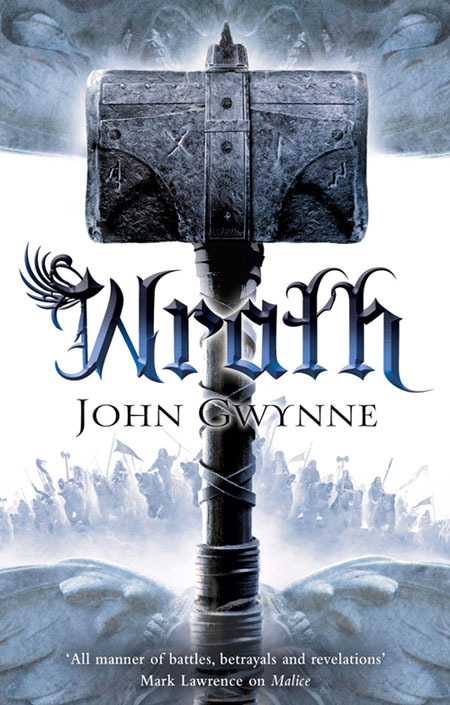 Today sees the publication of Wrath, the final installment in the Faithful and the Fallen quartet by John Gwynne. The series has been compared to the likes of George R.R. Martin's A Song of Ice and Fire and by all accounts it seems to live up to that potential and then some! The big difference is that this series is now complete, which means I can unreservedly jump into this fantasy world knowing that there won't be a lengthy wait to see how everything turns out. 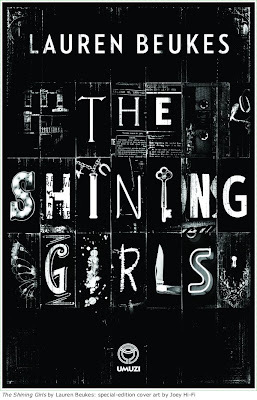 I can't wait to get my hands on this series. King Nathair has seized the fortress at Drassil, and now possesses three of the Seven Treasures. And with Calidus and Queen Rhin, Nathair will do anything to obtain the rest. 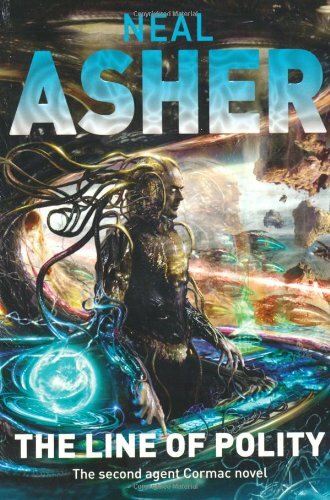 They will allow him to open a portal to the Otherworld – so Asroth and his demon-horde can break into the Banished Lands and finally become flesh. Meanwhile Corban has been captured by the Jotun, warrior giants who ride enormous bears into battle. His warband scattered, Corban must make new allies to survive. But can he bond with competing factions of warlike giants? Somehow he must, to counter the threat Nathair represents. His life hangs in the balance – and with it, the fate of the Banished Lands. Truth, courage and loyalty will be tested as never before. These past couple of weeks have been hectic at work and for some reason I just couldn't focus on reading. 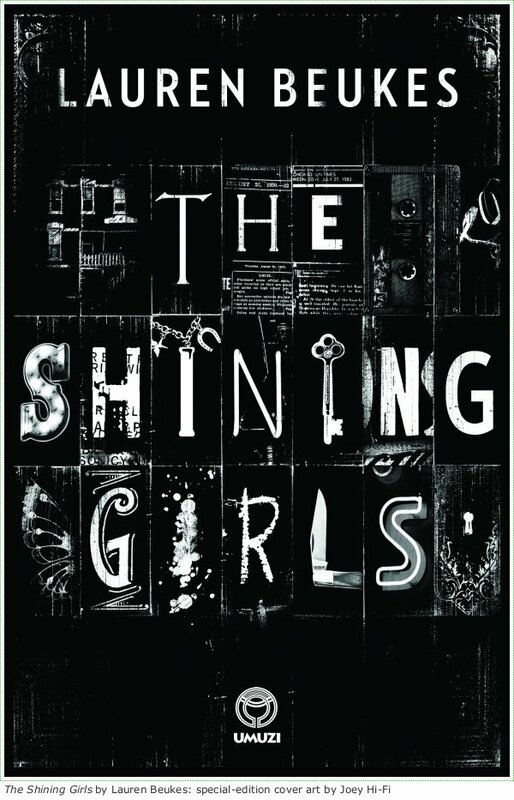 My brain decided it wanted to be a hyperactive, depraved book butterfly on a sugar high, flitting from one book to the next, but not able to settle on one for more than a few minutes. I've started more than 5 books, but none of them managed to keep my attention. Our local publishers/distributors are absolutely amazing and they were kind enough to send me some more review copies. 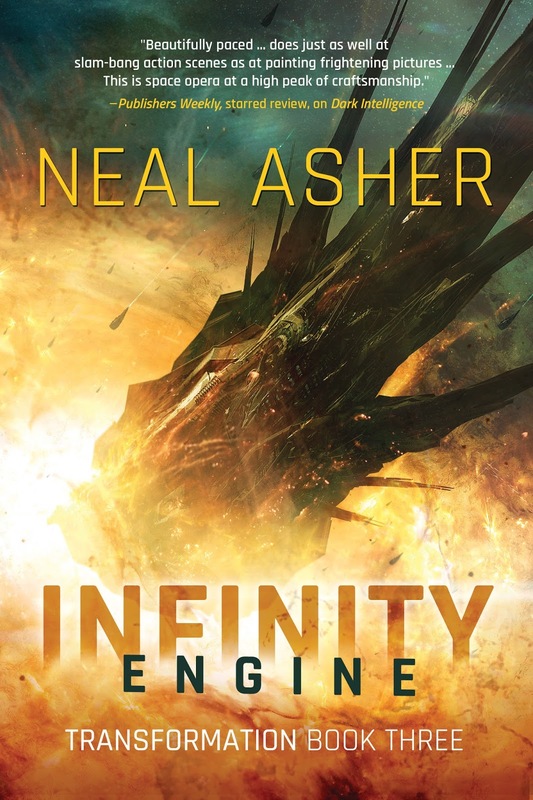 Infinity Engine by Neal Asher - I've already read and reviewed this and it exceeded all my expectations. A stunning conclusion to the Transformation trilogy. Highly recommended. The Collapsing Empire by John Scalzi - One of my most anticipated new releases of the year. I will hopefully get to this very soon. Skull Sworn by Brian Staveley - An author I've been meaning to try for ages. 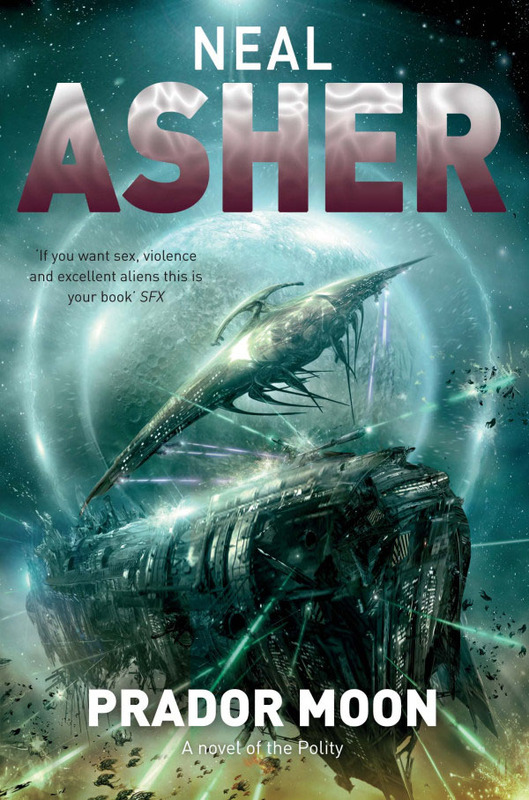 This is a standalone novel which promises to be a good entry point to his work. The Weight of the World by Tom Toner - This is the second book in a series, so I will first have to track down and read the first before I can get to this one. 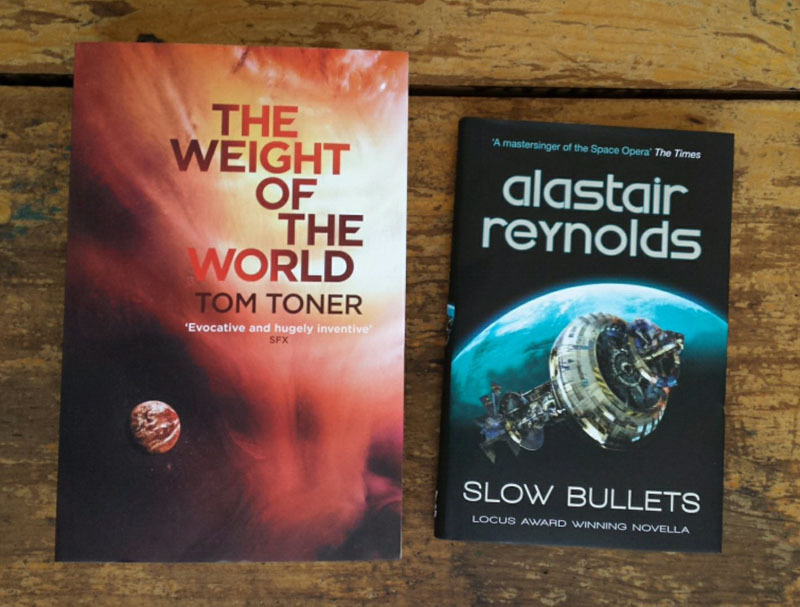 Slow Bullets by Alastair Reynolds - A novella by one of my favourite authors. I really loved this. 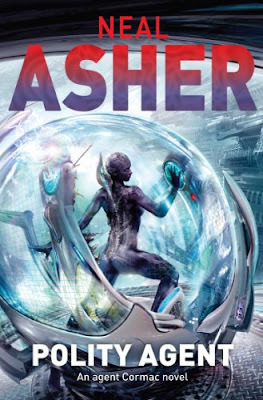 It's astounding how a 200 page novella can contain a fully developed space opera and pack so many themes into such a small package.